How else can you describe a situation, a house hold full of everything that is so far from traditional that you find that you can only express it with a photo from a kids holiday movie? I guess that the facts are the facts. Whatever you define as family., two dads, two moms, divorced parents, step parents, or the people who you meet and embrace as family, it’s all okay. Show me your perfection and I’ll call it a lie. There is only love and really, what else matters? I’m writing about having a ghost over my shoulder and my son is saying I’m old school. Maybe I shouldn’t curb them ever. There is only one me experiencing my own life. 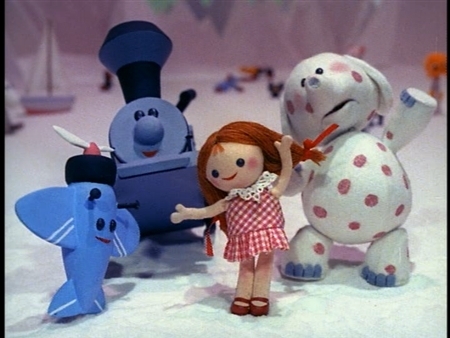 And maybe my island of misfit toys is an experience of things that others could judge and degrade and comment on in a way that would drag me down. But, guess what, I won’t let it. And maybe I should just put it all out there…and maybe I will. Or maybe, I will just embrace every idiosyncrasy that makes each of the imperfect, funny, loving people in my household so extraordinary, and go with that. Actually, I think that I will choose authenticity, over falseness, anytime. And I’ll choose unconditional love any day of the week. So here is to being your authentic self, no matter what! If that leaves’s me on an island, don’t bother to send out the rescue party. Your toy photo is great! I don’t know what that little guy is down in the left-hand corner, but I’m intrigued! Awww, yes he is! Have you ever heard the song “I’m a Little Airplane” by Jonathan Richman? He reminds me of that. Maybe all families are dysfunctional, but some are much more dysfunctional than others.